This bed was created for the oldest duck hunting club on Lake Erie. 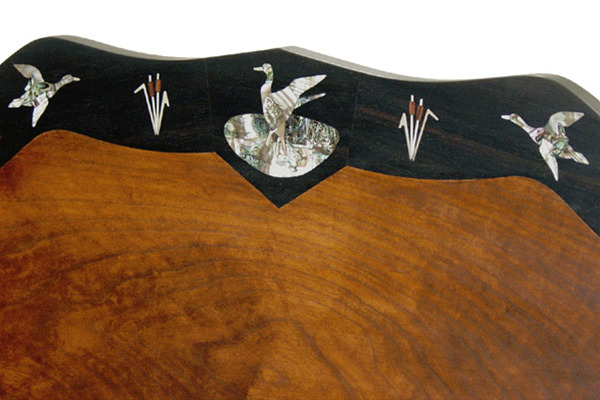 Inlaid abalone and mother of pearl ducks, black, teal and mallards. Elegant, one of a kind headboard. other patterns and designs available.